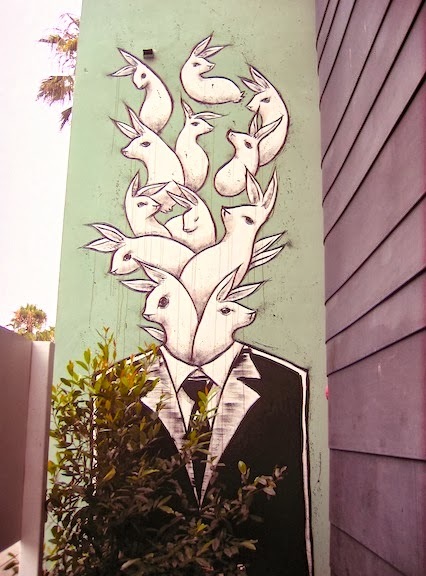 Bunny Explosion is located on a wall just west of the Brig as you approach the Farmacy at 1509 Abbot Kinney Boulevard in Venice Beach. The animals make frequent appearances in the work of artist Max Neutra, a Venice native who painted the piece last year. Whenever I look at the mural, the phrase 'pull a rabbit out of the hat' comes to mind, and indeed, Neutra's style is often full of whimsy and the unexpected.